Proton and Perodua were the two top car brands in Malaysia with sales over 60 percent. 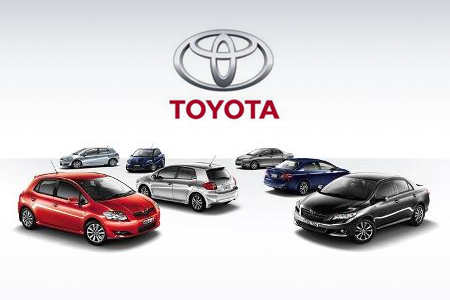 Toyota Motor Corporation (TMC) managed to make it into the top 10 and ranked 3rd in the list. The total units sold in 2009 was 81, 794 (only 15.8 percent). The sales dropped from 99, 995 units recorded in 2008. Even though Toyota is not the best car brand in Malaysia, TMC is the largest automobile maker by sales and production in the world. Founded in 1937 by Kiichiro Toyoda, it was a spin off from his father’s company, Toyota Industries to produce automobiles. With its headquarter in Toyota City located within Tokyo, TMC has grown and expanded into a large multinational corporation involved in manufacturing automobiles as well as offering financial services and creating robots. Toyota Motor Company and Toyota Motor Sales merged and renamed the corporation as Toyota Motor Corporation (TMC) in 1982. TMC received its first Japanese Quality Control Award in 1980s when the corporation began to take part in motorsports. Then in 1984, TMC set up a joint venture with General Motors known as New United Motor Manufacturing Inc. In 1990s, TMC changed its strategy to produce not only compact cars but also luxurious vehicles. Camry and Scion brand were launched in the market to target young adults who are looking for sporty, unique and affordable cars. TMC owns a number of factories worldwide to manufacture and assemble vehicles for local markets. This multinational corporation owns assembly plants in Australia, India, Indonesia, Poland, Turkey, United States, Portugal, China, Vietnam, Venezuela and Malaysia. One of the more well-known models produced by TMC and assembled locally in Malaysia is Toyota Avanza. This mini MPV was designed based on two models – Toyota Kijang and Toyota Innova. The car was launched at the Gaikindo Auto Expo in 2003. Since then, Toyota Avanza has become one of the best-selling MPVs in Malaysia.